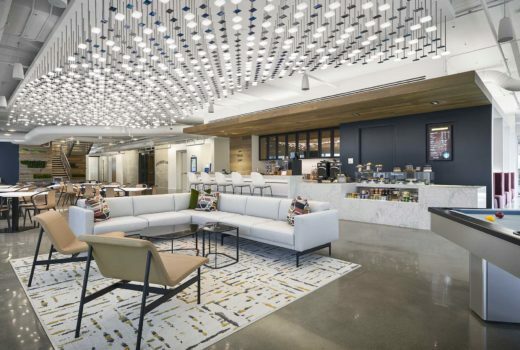 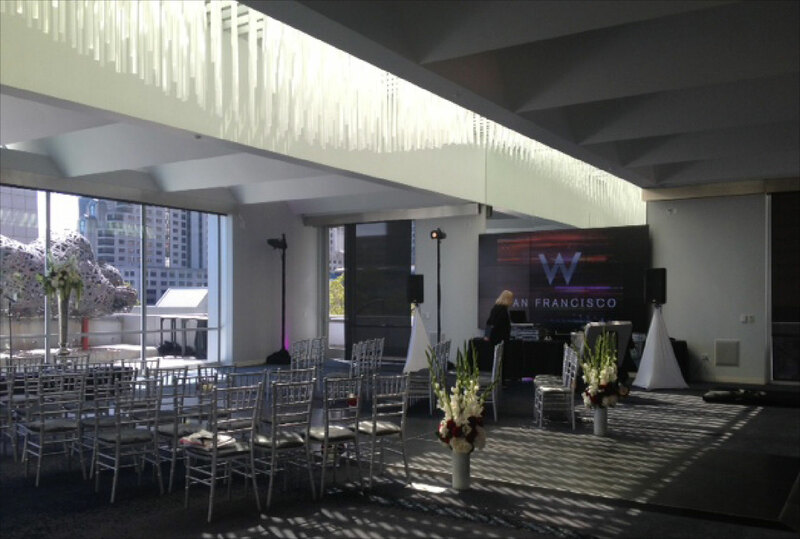 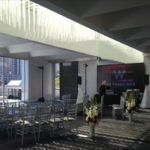 The conference room at the W Hotel San Francisco is a versatile multi-use space, just as likely to host a rave as a corporate retreat. 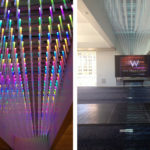 Arktura’s light installation both divides the space into distinct zones and responds to the diverse demands of its users. 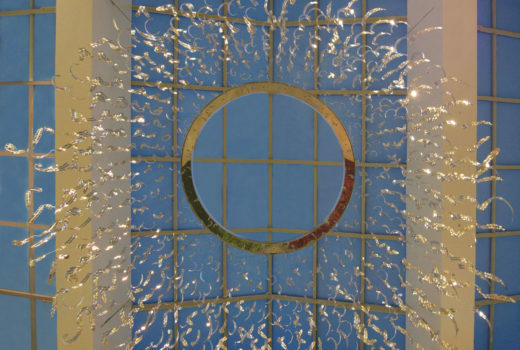 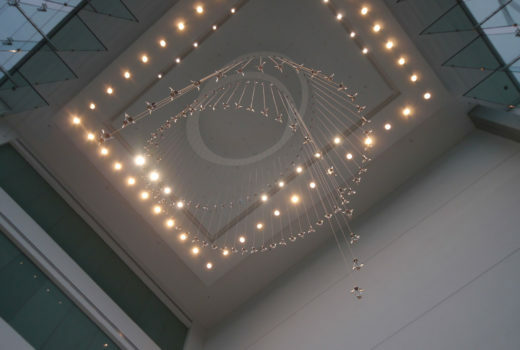 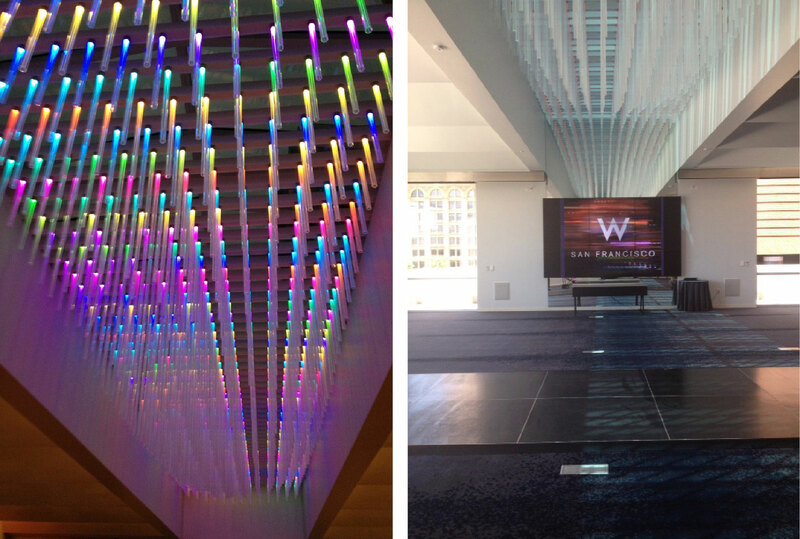 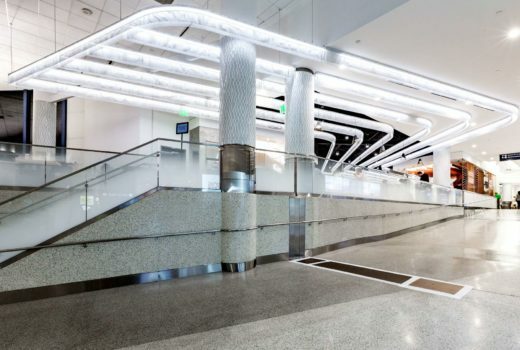 Through the center of the room, a series of acrylic tubes cut to varied lengths create an undulating surface overhead. 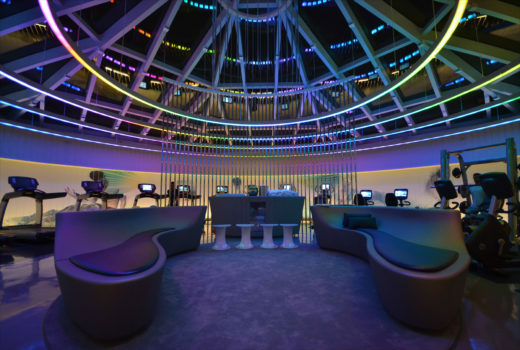 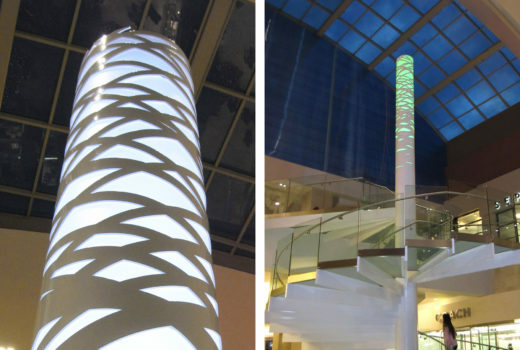 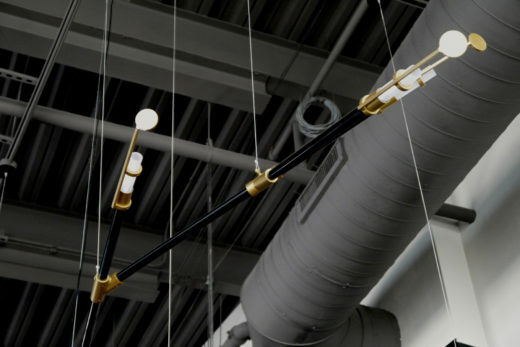 The color-changing LEDs within each tube are remotely programmable, allowing the color and intensity of the light to change with the function of the space.